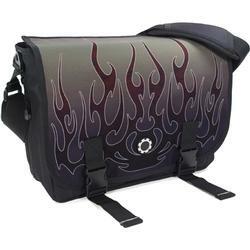 Stroller straps attach to any style stroller, Light-colored interior helps you see everything inside, Large, adjustable 2" strap with shoulder pad, Optional three point harness helps hold the bag securely against your body, Removable front flap makes cleaning easy, and you can swap out with different designs (sold sperately), Durable materials and classic styling ensure this bag will last long after the diapering years. 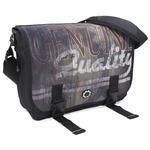 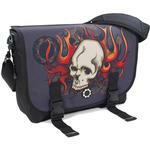 The DadGear Messenger Bag is a diaper bag that dad will proudly carry. 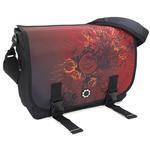 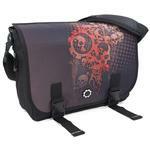 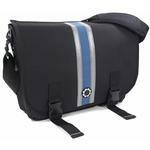 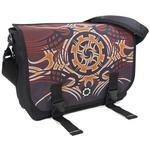 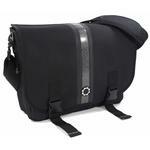 Styled like a bike messenger bag, the Messenger is comfortable, durable, and looks cool too. On the inside, it.s packed with thoughtful features like the Quick Access Wipes Case that are sure to make your life easier. 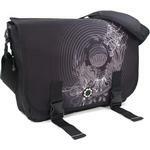 The DadGear Messenger is designed to be .hands free. so you can change, feed, and entertain your child without ever having to set the bag down.